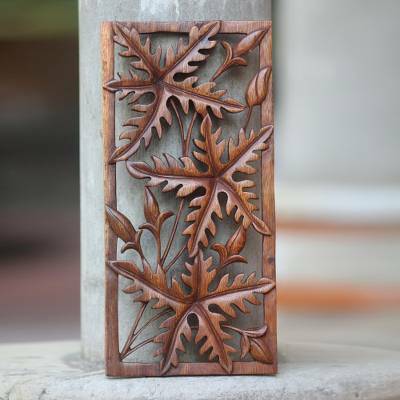 Handcrafted Leaf Relief Panel, "Forest Song"
Carved by hand in low relief, forest leaves whisper of Balinese flora. Eka designs an exquisite wall panel, crafted of Indonesian suar wood. You can find wood wall panel 'Forest Song' by Eka in wall decor categories such as Nature Relief Panels and Wood Relief Panels. Enjoy exploring these sections for other Novica treasures.